A platform for Women of Color to share cultural vegan/vegetarian recipes and providing safe spaces for Vegans of Color. The Visibility Pack Picnic hosted by Veggie Mijas and SafeWordSociety at Fort Greene Park, Brooklyn on July 1, 2018. Videographer and Reporter: Stephanie Aliaga. The wave of veganism has been growing rapidly in the past ten years. In a 2009 survey conducted by Vegetarian Resource Group, it reported that 1% of Americans are vegan, roughly a third of the people who reported being vegetarians. The popularity reflects the overall sales of plant-based foods that went up to 8.1% and topped $3.1 billion, according to data released by the Plant Based Foods Association and The Good Food Institute. The sales of plant-based cow’s milk went up by 9% while dairy milk decreased by 7% (17.8 billion) and are expected to drop another 11% through 2020, according to Mintel. Within the veganism movement, there are subgroups based on what matters to them. The diversity of reasons ranges from animal abuse to health to economic to religious to environmental, according to a 2009 article on Harvard Health. For some, veganism also intersects race, class, gender and sexuality and have created their own "for us by us" movements such as black veganism, decolonizing food, ecofeminism, and much more. Veggie Mijas is a Women of Color collective founded by Amy Quichiz and her sorority sister, Mariah Bermeo. They are a platform for women of color to share their cultural vegan/vegetarian recipes online and also host potlucks in different cities. Last Sunday I went to The Visibility Pack Picnic in Brooklyn hosted by Veggie Mijas and SafeWordSociety, a QTPOC+ visibility company, and interviewed Amy to learn more about her journey as a Colombian and Peruvian vegan and her work in Veggie Mijas. The reason I became vegan is because I watched a documentary called Earthlings and I saw the way the animals were being treated, and the way that capitalism has exploited folks for the violence that the animals are going through. Also the whole cycle of reinforcing traumas in our plates. When it comes to eating animals that are literally killed and have so much fear going in slaughterhouses, that is the first reason why I became vegan. I learned about environmental racism—the ways people of color are exposed to living around slaughterhouses and affecting their health. In general, my reason for veganism is because of activism. We can be better for our people. Johanna Toruño from The Unapologetically Brown Series (left) and Amy Quichiz, founder of Veggie Mijas (right). How did you first find out about the social injustice in meat? I watched a lot of documentaries and I spoke a lot with my friends that are vegans of color. This Dominican woman that is vegan exposed me so much to everything, and then a Cuban vegan also taught me how to eat and cook. In just ways, actually my community was the one that taught me. I had a lovely experience with folks of color always being in my life to teach me about veganism. Is that how you learned recipes or was it online? I bought a bunch of vegan recipe books and for me, that didn’t work. It was more word to mouth so hearing how people would cook things and showing me the brands that they would use. That's why I thought it was helpful to make Veggie Mijas in the sense of showing people what they are making instead of a list of ingredients that you need. I feel like it is so important to see to visuals and to see yourself represented while making the recipes as well. What was your parents’ reaction when you stopped eating meat? At first, they were very confused why I was buying soy milk and not real milk—“real milk.” They shamed me a lot in the beginning, they would be like “Why are you doing this? This is not okay.” They were concerned about my health. 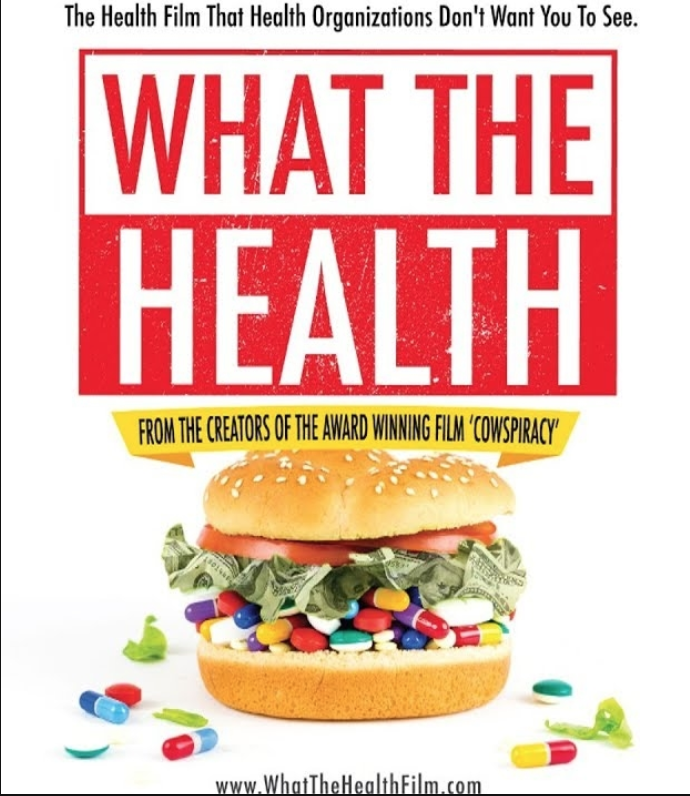 I figured that showing my mom the most sensitive way by them watching Earthlings was very impactful because my mom was like “Wow, that's what I am eating?” And for my dad, it was “What the Health” because he was very concerned with his health. It’s just finding different ways to speak to your parents depending on how they learn and what you think they would care about the most. What would you say to someone who is first starting their vegetarian/vegan journey? I would say that it could be hard, especially if you’re a person of color who thinks that their family would say something to you because you’re starting to be vegan/vegetarian. However I think that it is so possible, I think that we can be the ones to open those doors for our families. Because they think that what they have is all there is. They don’t know what other people have. For example, my mother didn’t know what an eggplant was until I showed her and I cooked for her. It’s those little things—like asparagus, she didn’t know what an asparagus was. You would think that she would know all about cooking but sometimes that’s not the case. I think that you having the courage of being that person that would bring something new to the table, literally, is so impactful and meaningful. Are there any books or movies you can recommend? How did the collective begin? The collective began because I wanted to show college people how to eat well. In college I really didn’t eat well and folks around me would be like "I just ate one pizza a day." It started with my sorority sister, Mariah, and we started together. However, I graduated and she went abroad so I was like, I’m going to make this a women of color collective just so we won’t lose the energy of making it into something that we can put into the community, to teach about veganism. Then it started to be something more like creating events, creating community, talking to each other in different states, having a whole collective list of people that can meet up in Oakland and having a potluck in Los Angeles. I think that Veggie Mijas has been really growing and it’s only been four months. It’s amazing to see how many people enjoy it and knowing they can be vegan with folks of color. What do you hope people will gain from the meet-ups? It would be really amazing if people would come out feeling refreshed and feeling like they have someone they can talk to afterwards. And not just, “Oh I came out to this potluck,” and that’s it. We are going to talk afterwards, I’m going to see you in the next events, we are going to make an actual community of it. I think that it is so important. I feel like people, especially people who have been vegans for really long, when they come to a Veggie Mijas event, they say “Oh my gosh, I never been in a room where so many vegans of color are. I only been to white vegan events.” I think that for me, specifically, is so important because personally me, I never had that experience of being with only white vegans but I know that people have. So I think that creating that space is so important for anyone that wants to come to that space, and even learning about veganism and what that means can also be welcomed. Are the meet-ups only open to people of color? Yes, strictly people of color, folks of color, women of color, nonbinary people of color. Anyone that's of color, because I think that’s the representation that we need. I think that there’s enough events, enough festivals, enough anything that’s already white vegans and they always have the floor to speak about veganism in general. And when we put ourselves in the forefront, we get to recognize that this is a safe space for us to speak about our kind of veganism. Because I feel like when it comes to folks of color, our veganism can be very different rather than the white veganism that they have created for themselves. So yes, it's only people of color. What are your goals and dreams for the collective? I honestly didn’t think that I would get to the point where I am now. I think that I’m just trying to be present and that maybe my dreams would be creating workshops for kids in after-school programs to teach them how to plant and garden. Also creating larger events on getting together and talking about veganism; having panels with amazing vegan of color women and finding ways we can connect so many people in one space. That would be the dream.